What a busy 2019 it's been for YouTuber Shane Dawson. In the past week alone, he's been gracing our headlines day after day — be it for yet another scandalous apology or news of his recent engagement — and recently, people want to know the latest regarding his beauty collaboration with fellow YouTuber Jeffree Star. 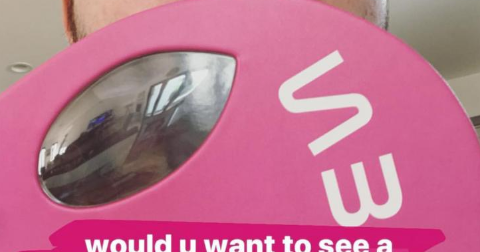 Following Shane's new YouTube-centric documentary series The Secret World of Jeffree Star, it seems the problematic redhead wants in on some of the makeup guru action. Back in December, he teased the idea of collaborating on a palette series in a poll on his Instagram stories. 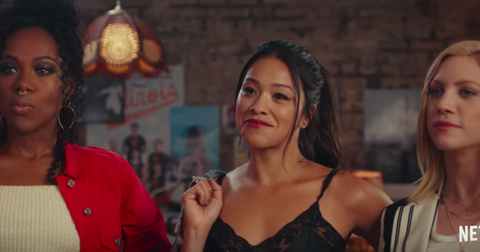 Then, the two released a video in which they discuss their future plans for a new documentary series that gives viewers an inside look into how makeup gets made. "I actually think it's interesting," begins Shane, "because we could make this palette and we could document the process of making the actual palette, making the marketing, doing like, commercials." 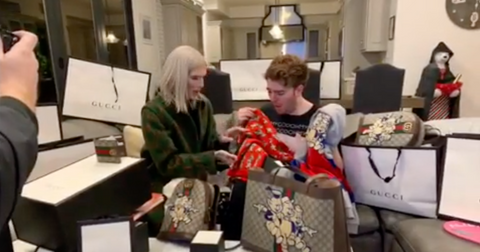 An enthusiastic Jeffree interrupts him to say, "OK, so no one has shown the real behind-the-scenes of how we create products from zero, from when it's an idea on a piece of paper to when it's in your hand ready to be shipped. No one has ever done that. Jeffree x Shane palette: confirmed. 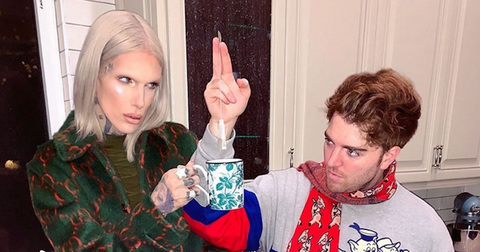 Though an impending Jeffree and Shane collab has long been rumored, the will-they-won't-they debate finally came to an end late last month when Jeffree publicly confirmed their palette was coming soon. "In the future, you guys will finally get a Shane Dawson and I collab," he said at the ribbon-cutting of a new Morphe store in Sacramento. Shane has also confirmed the collaboration on his end, taking to his Instagram stories to muse about his new venture. "I'm actually doing research because you guys know that me and Jeffree were talking about doing some kind of a palette together," he said. "I don't know that much about makeup, and I don't want to look like a fraud, and I don't know if it's going to sell. 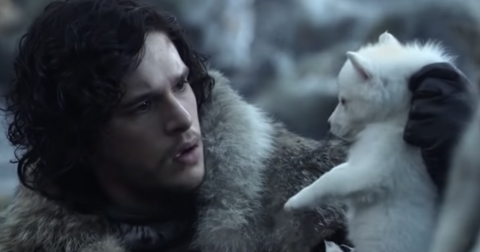 But I think that might be interesting because I do want to learn everything." 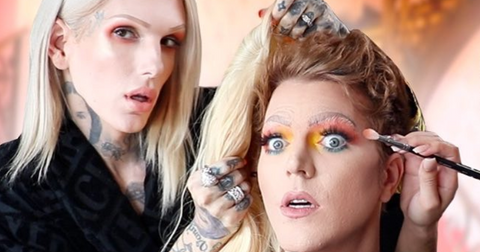 "I feel like that would be a really cool series, because it would be very new and very real and I'll probably be freaking out a lot because Jeffree's my friend and I don't want to fail," he continued. In addition to the new palette, we also have a new Jeffree x Shane series to look forward to. Christmas came early, it seems, because not only will we now have a palette by these two YouTube forces, we'll also get a never-before-seen look at what goes into making beauty products. 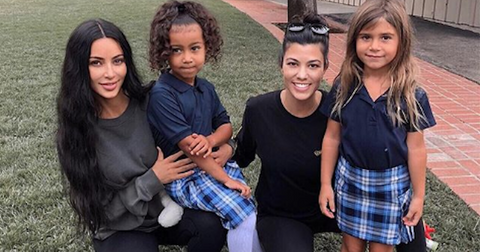 If only Kylie Jenner had thought of this! Of course, this latest makeup line riffs off of Shane's famous Conspiracy Theories video series. And people cannot contain their excitement. "Okay but is @JeffreeStar Possibly announcing the release of his #JeffreeXShane makeup palette?? I’VE SEEN THE CONSPIRACY VIDEOS!! SHANE AND JEFFREE HAVE BEEN COLLABORATIVE SO MUCH RECENTLY??? And it is named Conspiracy? Could this be the newest edition to #JeffreeStarCosmetics !?" one person pondered on Twitter. Jeffree took out a patent for Conspiracy. Jeffree knows a thing or two about business, patents, and running his own empire — just look at his $50 million net worth if you don't believe us. And the queen moves fast. Thirteen days ago, he took out a patent for his collaboration with Shane Dawson, according to YouTuber News. 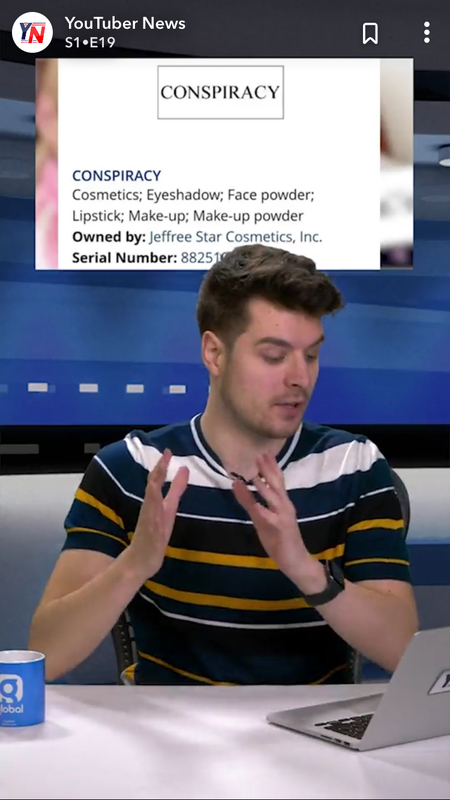 The eyeshadow palette Conspiracy is owned by Jeffree Star Cosmetics, Inc. and is categorized as "Cosmetics; Eyeshadow; Face powder; Lipstick; Make-up; Make-up powder." We can't wait to see the product in real life and watch the doc series on how a palette comes to life from start to finish.